Is your safety-critical engineering infused with best-in-class knowledge? When safety is critical, AFuzion ensures it. AFuzion provides solutions in most phases of safety-critical systems, software, and hardware engineering. Infuse your engineering with AFuzion’s proven solutions; in use by hundreds of companies in 35+ countries. When safety is critical, you need AFuzion’s proven engineering solutions. Safety-critical engineering is aptly named. When safety is critical, your engineers need best-in-class knowledge of technology, tools, and regulatory compliance. Consulting, certification, outsourcing, training & hands-on workshops: infused with knowledge by AFuzion. The work of our engineers is worldwide, with AFuzion’s engineers having travelled to 35+ countries for work with clients. AFuzion: When Safety Is Critical™ : Worldwide. Above: Some places where AFuzion’s engineers have worked onsite with Clients. Consulting: Expert consulting services for DO-178C, ARP4754A, ARP4761A, ISO 26262, DO-254, DO-200B, ED-12CC, ED-80, DO-278A, & IEC 61508, TSO’s, TC/STC’s, QSM and AS9115. Certification: Formal Certification, Compliance and DER services for FAA, EASA, CAAC, and most safety-critical regulatory agencies, worldwide. Safety-Critical Audits: Review and analyze your team’s performance to boost productivity and quality while lowering development costs. Proposal Optimization: Preparing a technical safety-critical product proposal which you really want to win? AFuzion will scrub and improve your DO-178B, DO-178C, ED-12C, FAA, EASA, DO-254, ARP4754A, ARP4761A, DO-297, and ISO-26262. AFuzion’s engineers did the world’s first such gap analysis in 1989. Our competitors copy AFuzion’s old gap analysis info but charge the same price; why buy ten-year info intended for someone else when you can have authentic world-best AFuzion gap analysis plus many included benefits for the same price? Contact AFuzion for free sample gap analysis information. AFuzion’s Technical Workshops span a wide area of safety-critical engineering processes and standards. Clients receive the best training in the business. AFuzion’s current trainers have trained more engineers and managers in the following areas than all of our competitor’s engineers have, COMBINED: 19,500+ trained onsite in 35 countries. Outsourcing: AFuzion provides safety-critical systems and software development and V&V outsourcing. One engineer for a week or fifty engineers for a year: AFuzion and its partners provide cost-effective engineers; never the cheapest, always the most cost-effective. The engineers at AFuzion have helped 250+ companies in 35 countries achieve safety-critical system success since 1990. AFuzion: When Safety is Critical™: aviation, medical, automotive, and industrial control. DO-178C Templates & Checklists: AFuzion has all-new, proprietary DO-178C Plan Templates and DO-178C Checklists; available only through AFuzion. DO-254 Templates & Checklists: AFuzion has all-new, proprietary DO-254 Plan Templates and DO-254 Checklists; available only through AFuzion. AFuzion’s founder and senior engineers provide safety critical software expert witness analysis and testimony. Significant nationwide experience with many Fortune 500 companies and cases providing convincing, authoritative avionics expert witness analysis and aviation safety expert testimony, including real-time software and DO-178 expert witness services. AFuzion is a boutique company focused on infusing technical knowledge. Founder, CEO, and CTO of multiple safety-critical companies sold for 8 figures. BSEE, MSEE (Hughes Fellow), MBA. World-renowned safety-critical expert, speaker, trainer. Technology founder, patent-holder, corporate attorney in copyright law and intellectual property. Technology & Human Factors Interests. Private pilot and business-jet owner. Sorry, I’m a private dude. 20+ years safety-critical systems business management expertise ensuring client success and the highest repeat-client rate in the industry. Senior avionics development engineer with expertise in Safety, Systems, Software, and Hardware development, integration, test, and certification via DO-178C, ARP4754A, ARP4761, and DO-278A. 25+ years’ experience in avionics software development and certification. 20+ years experience in aviation/safety/systems and key contributing member of SAE committees developing ARP4754A and ARP4761A. Expert ARP4761A Safety Assessments & Training. 25+ years software business and client management success in Europe. Based in Milan, Mr. Tommasi ensures client success for a wide variety of critical software projects, tools, and critical services. 30 Years’ experience managing aviation development projects and flight testing. Big-picture strategic thinker and engineer’s engineer. After spending much time teaching all aspects of Physics to engineering students, Arif was fascinated by engineering topics which made him dive into business where he promotes sophisticated technologies worldwide. Based in Chicago, Mr. Erkoca’s journey continues with Physics, Engineering and Technology Marketing. As Doymus Founder and Manager, Mr. Hernanz manages all safety-critical software services and tools activities in Spain. Based in Madrid, Mr. Hernanz’ key role at Doymus (and AFuzion Distributor) ensures client satisfaction with software and hardware development, tool selection/deployment, Training, and consulting/certification services. As Bupat Managing Director, Mr. Erkoca manages all safety-critical software services activities in Turkey. Based in Ankara, Mr. Erkoca’s key role at Bupat (and AFuzion Distributor) ensures client satisfaction with software services, training, and consulting/certification services. 25+ years’ experience in avionics software, hardware, systems, and safety development and certification. Senior safety-critical engineers, all at the top of their field. In the past we posted their names and contact info but the world’s best recruiters were using our AFuzion site as their go-to recruiting site since everyone realized AFuzion’s engineers are the world’s best. To reduce those recruiter’s tragic sense of continual rejection, we’ve simply removed their names. But not to worry: engaging AFuzion means you have access to the world’s best through the front door; no need for the back door. AFuzion’s actual trainers have provided DO-178C Training, DO-254 Training, DO-200B Training, DO-278A Training, and ARP4754A training to 19,500+ engineers and managers worldwide: more than all our competitor’s current trainers, combined. When Safety is Critical, your engineers and managers need the world’s best training already provided to 19,500+ engineers in 35 countries; more than all other known competitor’s existing trainers. AFuzion training combines the latest industry and regulatory knowledge with today’s best-in-class engineering practices. Attendees repeatedly call it the “best technical training and value they have ever encountered”. Available free, only from AFuzion. Select up to two; Clients may select up to five (Additional papers $50/each; credit cards accepted, email [email protected]). Scroll down the list to see and download AFuzion’s 25+ technical papers. Want to deal with high-quality supplier with proven pedigree? I really think that your training at Spain was very interesting, especially your explanation, the best I ever received. I would like to thank you for such a great couple of days last week – amazing. I learnt more over those two days than I had from reading through the 178B and 178C standards in the past few months, truly. Do you present workshops on ARP4754A? ARP4761? DO-254? If you do, and you are willing to come and put up with us again, I am sure dates could be arranged. Thank you for the good and thorough DO-178C & DO-254 Gap Analysis. It is invaluable. Thank you for the wonderful course! I learnt much more than I had expected, and it was overall an amazing experience. It was a real privilege participating to your training course! I learned a lot, and understand many requirements that although I knew them it was unclear to me their reason and meaning. Once again thank you very much. Your expertise, experience and knowledge really came through in the presentation and was a key factor to the overall success, and we enjoyed working with you and your team. BIG gratitude for the very good and appreciated training that you have gave us. Thank you for excellent presentation on the topic. It has been a real pleasure. It was truly an honor and privilege to be able to attend the training you provided to us in Huntsville. You’re a very engaging and entertaining instructor; I really appreciated your insights! Vance, we truly appreciate the training and it was an excellent one. I really enjoyed and happy to learn about the DO-254 from you. Thank you very much. Thank you for your excellent training made the last three days. This will help us to better understand the changes related to DO-178C. 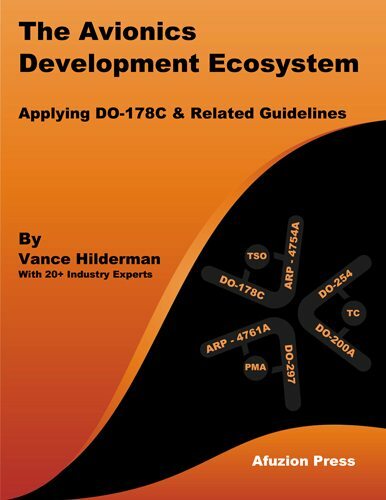 I recently followed a two-day course on DO-178 and DO-254 by Vance Hilderman and it saved me a lot of time. The course gave me an excellent introduction to the matter, focus on what really matters, and clear indications for further in-depth study. I have found that your white papers contain important information, are well written, succinct, and easy to interpret/comprehend. I would like to say thank you for the two days. This training was exactly what I needed. And “truly” it was an excellent presentation of a dry topic. At the beginning of the training you asked the question who has read your book. “Truly”, it was this terrific book which made me believing that there is a way for me to understand how the DOs should be transferred to the “real world”. Thank you for the knowledge and most of all the opportunity to observe a master trainer. I rarely meet gifted individuals actively engaged, you are one of the few. AFuzion has growing offices in Los Angeles and Manhattan, America’s two largest cities. AFuzion also has partner offices in Asia, Europe, and the Middle East. With 99% certainty, you personally benefitted from the expertise of the engineers with AFuzion in the past month: planes, trains, automobiles and millions of safety-critical devices relied upon the expertise of our engineers. The work of our engineers is worldwide, with AFuzion’s engineers having travelled to 35+ countries for work with clients. AFuzion: When Safety Is Critical™: Worldwide. 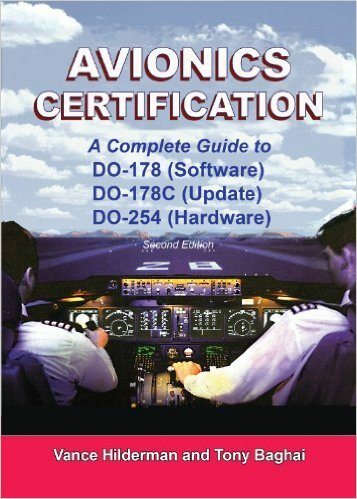 Want a free copy of AFuzion’s proprietary “Avionics Development Best Practices” whitepaper or a sample "DO-178C Software Requirements Checklist"? We'll send you a copy right away.